There’s really no moviegoing experience like seeing a new “Star Wars” the weekend it premieres. Whether it’s on opening night (like our exclusive GCFC event for “The Last Jedi”), or a Sunday matinee, there’s nothing like settling into a theater packed with like-minded fans as the lights go down, those trumpets sing and that familiar yellow text scrolls up the silver screen. What followed was the telling of a story, and the birth of a cultural phenomenon, rivaled only by the Bible and Shakespeare in its worldwide reach. My first experience seeing “Star Wars” was in high school when “The Phantom Menace” came out. My mother, knowing how much I wanted to go on opening night, stood in line in the cold spring air to secure tickets for me and my friends (and got herself bronchitis in the process…love you, Mom). Opening night came, and I was out of my mind. It wasn’t an everyday occurrence to stay up this late on a school night, but I wasn’t anywhere near tired. We headed for the theater at around 10pm and there they were: the faithful from a galaxy far, far away lined up in full costume, lightsabers clashing all around us. As midnight struck and it was finally time for the movie, chills ran through my body as the familiar 20th Century Fox fanfare was met with a loud cheer from all corners of the darkened room. It’s rare to hear a full cheer in a movie theater, but you’ll hear it in every one of them playing “Star Wars” this weekend. Make sure to take it all in. Experiences like this don’t come around every day. Tickets are still available for our EXCLUSIVE opening night screening of “Star Wars: Episode VIII – The Last Jedi” Thursday at Atlas Cinemas Eastgate 10. Attendees will receive a commemorative t-shirt and the opportunity to win great “Star Wars” prizes. All proceeds go to support GCFC’s mission of bringing jobs and economic impact to Northeast Ohio through the growth of a sustainable media production industry. Today, we celebrate Giving Tuesday, a national celebration of philanthropy. “I’m Nick Kuhar; I co-founded and chair the Film Department at St. Edward High School. 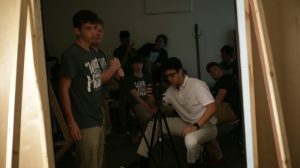 Ivan Schwarz has graciously coached and mentored St. Ed’s since 2012: he’s come in for multiple Q&A sessions with our young filmmakers, and has invited our entire department to keynote events (including sessions with the Russo Brothers and Tom Hanks). The St. Edward Film Department gives to the GCFC annually because Ivan and his team have consistently demonstrated that they’re in this to serve the greater Cleveland community. There’s a genuine reciprocity between our institutions. We want to thank Nick and all of our generous GCFC supporters, members, sponsors and partners. As a true nonprofit, we receive no funds from the media productions we bring to Northeast Ohio, and rely entirely on support from our community. The beginning of the holiday season is upon us, and that means it’s almost Thanksgiving. Many of us will be traveling to a loved one’s house to sit down to a Turkey dinner with family and friends. Maybe you’ll watch some football. Maybe you’ll even watch a movie as you fight off a food coma. But what movie will you watch? If you’re like my family, more than anything, Thanksgiving is the recognized starter’s pistol for all things Christmas. Christmas is the King of movie holidays, and by a large margin. No other holiday comes close. The Hallmark Channel alone practically doubles the total number of Christmas movies in existence every year. Around Easter, “The Ten Commandments” is usually in heavy rotation. The Fourth of July usually sees a strong dose of “Independence Day” or a Turner Classic Movies marathon of vintage patriotic cinema. Arguably the second most popular holiday (or at least in the conversation), why isn’t there a recognized Thanksgiving classic, or even a clear Thanksgiving genre, when it comes to movies? Maybe it’s a testament to the Americana of Thanksgiving that the holiday’s preferred medium appears to be television. Who could forget the “WKRP in Cincinnati” episode that gave us the classic line, “As God is my witness, I thought turkeys could fly.” Acclaimed drama “The West Wing” used Thanksgiving episodes as a way of taking stock of how fortunate President Bartlett and his staff were to be in a position to help people. “Friends” Thanksgiving episodes were practically television events in and of themselves. So, maybe this year after you unbutton your pants and try not to make eye contact with THAT family member, you’ll run through Netflix or Hulu and pick out separate Thanksgiving episodes of your favorite shows. However, that plan seems cumbersome at best and physically/emotionally draining at worst, so how about we just try to find a Thanksgiving movie to watch? 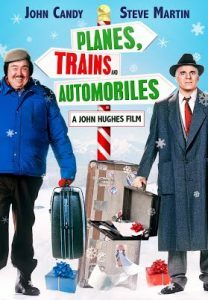 The comedy classic starring Steve Martin and John Candy is all about Martin’s character Neal trying to get home for Thanksgiving, when a snowstorm forces him to find alternate means of transportation and an unwanted travel companion in Candy’s Del. While there’s very little Thanksgiving in this movie, traveling is a big part of the holiday itself, and this movie delivers plenty of laughs at its travelers’ expense. Al Pacino earned a Best Actor Oscar for his performance as blind, retired Army colonel Frank, a cantankerous man whose best years are behind him. When a young student facing troubles of his own (Chris O’Donnel’s Charlie) agrees to care for him over Thanksgiving, Frank whisks his young attendant to NYC for a glitzy weekend where he reveals he is going to commit suicide. Again, the most Thanksgiving thing about this movie is an awkward, acrimonious holiday dinner with Frank’s brother’s family, but there’s definitely something to be said about that being representative of the holiday in some way. 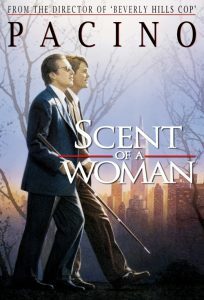 Jodie Foster’s first directorial effort, this is possibly one of the most Thanksgiving movies of all time. Holly Hunter plays a single mom recently fired from her job who goes home for Thanksgiving with her loving but dysfunctional family. With an all-star cast featuring Anne Bancroft, Charles Durning and Robert Downey, Jr., “Home for the Holidays” perfectly captures what family is: a collection of weirdos fighting, yelling, judging and annoying each other who, ultimately, love and support one another. What’s more Thanksgiving than that? 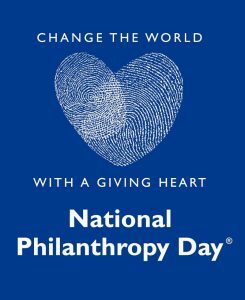 Today is National Philanthropy Day. Nonprofits and charities across America will be telling their stories in the hope that those who are able will give to their various causes and constituencies. As a nonprofit ourselves, the Greater Cleveland Film Commission (GCFC) will be doing the same. Our story is about creating a new industry in Northeast Ohio. It’s about attracting new people to the region, and retaining all the amazing young talent we already have. It’s about creating more high-paying jobs, new small businesses and developing a workforce than can compete with any in the world. In 2007, Ivan Schwarz became the second President of GCFC. He inherited an organization that operated in an industry dominated by film tax incentives, but in a state without one itself. He knew that to be competitive with other states that were growing new production industries, we would need to present Hollywood with a competitive tax credit. An economic impact study from Cleveland State University found that since 2009, the tax credit has generated over $400 million in economic impact, created over 1,700 full-time equivalent jobs and put $2.01 into Ohio’s economy for every dollar spent by the incentive. GCFC sees $0 from the productions it attracts to the area, and relies solely on the support of community partners, sponsors, and people like you. On National Philanthropy Day, please consider supporting GCFC by becoming a member, buying tickets to one of our upcoming events, or visiting our online store. We need your help to bring more jobs, engage more local businesses and create even more economic impact in the region with this growing industry. We need your help to make Cleveland a global production destination. Your support is more than a donation, it’s an investment in the future of Northeast Ohio. For anyone who’s ever had a story to tell on the big screen, it all starts with the screenplay. Writers new and veteran alike can always use some helpful advice, whether it’s on story craft, formatting or selling the screenplay once it’s been written. As such, we’ve gathered this list of three classic screenwriting texts, along with one selection that’s a little off the beaten path, to help you get started with or tighten up that screenplay you’ve always wanted to write. 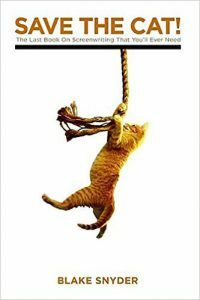 You can sell your script if you can save the cat, or so says author Blake Snyder. A bestseller for 15 years, writers the world over have been using this book to gain insight not only to the craft of screenwriting, but on the industry itself and how it works. From tips on writing a can’t miss logline, to the seven laws of screenplay physics, every screenwriter should have this book in their library if they don’t already. This is the book assigned by every professor teaching Screenwriting 101. Robert McKee is well known for his screenwriting workshops. People from all walks of the industry pay top dollar to hang on his every word in lectures and seminars. 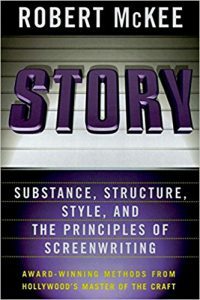 An excellent book for the novice screenwriter, STORY focuses on just that: telling the best story possible with your screenplay. If you’re having trouble fitting the elements of your story together or crafting interesting characters, this book is a godsend. “Butch Cassidy and the Sundance Kid.” “All the President’s Men.” “The Princess Bride.” Having penned some of the greatest screenplays in cinema history, William Goldman is uniquely suited to give readers insight into the inner workings of Hollywood. 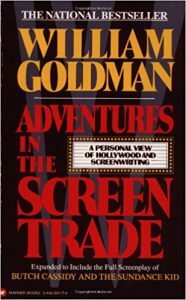 You’ll not only read behind the scenes accounts of Goldman’s experiences writing/selling his classic scripts, but also about his creative thought process. With sketch comedy roots in subversive shows like MTV’s “The State” and Comedy Central’s “Reno 911,” Robert Ben Garant and Thomas Lennon aren’t the first people you’d expect to be wildly successful mainstream screenwriters. 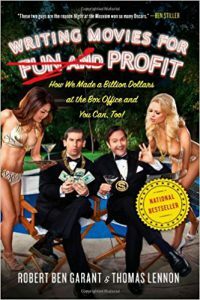 Having created the “Night at the Museum” series, along with comedies like “The Pacifier,” “Balls of Fury,” and the instant classic “Herbie: Fully Loaded,” the duo have much to say about how to game the Hollywood system to your benefit. Endlessly entertaining, this tongue-in-cheek manual is a fun look at the movie industry and the business of screenwriting. PLEASE NOTE: If you’d like to purchase any of these books and support GCFC at the same time, go to smile.amazon.com, select GREATER CLEVELAND MEDIA DEVELOPMENT CORPORATION as your participating nonprofit and GCFC will receive a small portion of the proceeds to continue our mission to bring jobs and economic development to Northeast Ohio through the growth of a sustainable media production industry. If you’ve followed us at all over the last few years, chances are you’ve seen these numbers before: $400 million, 1,700 and $2.01. These numbers come from an economic impact study GCFC commissioned from Cleveland State University on the impact of the Ohio Motion Picture Tax Credit, for which Ivan Schwarz and GCFC fought to get passed in 2009. The report found that the Tax Credit had resulted in over $400 million in economic impact for the state, generated over 1,700 full-time equivalent jobs and gave a return on investment of $2.01 (for every dollar spent by the Tax Credit, $2.01 went back into Ohio’s economy). To sample the impact that just one production can have, when “The Fate of The Furious” rolled into town last year, it engaged 200 Ohio businesses, created 380 direct jobs and used 9,000 hotel room nights. We think these numbers are a great example of the enormous impact a media production industry can have on its community, but we haven’t even really scratched the surface. In 2008, the state of Georgia began its production incentive program and has since grown into Hollywood South. In the last fiscal year, their industry generated $9.5 billion (that’s with a “b”) in economic impact from 320 film and television productions. According to the Motion Picture Association of America, the film and television industry is responsible for more than 85,300 jobs and nearly $4.2 billion in total wages in Georgia, including indirect jobs and wages. Over 25,700 people are directly employed by the production industry in Georgia, and it hosts more than 2,700 industry-related businesses. So, what do we need to do to get there? Industry Infrastructure – If Northeast Ohio had at least one sound stage, there would be year-round filming in the area and we wouldn’t miss out on blockbuster productions like the Russo Brothers’ “Avengers: Infinity War.” Increasing the incentive will lead to investments in basic industry infrastructure like sound stages, production offices, post-production houses, and the like. Grow Our Crew Base – Our crew base is growing, and is filled with many talented local professionals. However, a growing industry will attract even more talented professionals to the area and keep us from losing our own locally grown talent. Check out our GET INVOLVED tab at the top of the screen to find out more about how you can help be a part of our mission to grow the media production industry in Northeast Ohio. What is your role in Cleveland’s media production industry? I wear a few hats. I am an attorney (at Buckley King) that focuses on clients in and issues related to the sport and entertainment industries. Additionally, I am working on producing content of my own, as well as acquiring original content of others. On the education and professional development side of things, I am the Executive Director of the Great Lakes Sports and Entertainment Law Academy and the Chair of the Entertainment, Sport, and Media Subcommittee of the CMBA. What is the Great Lakes Sports and Entertainment Law Academy? 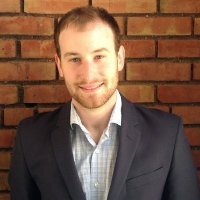 The GLSELA is an online program designed to prepare law students, other graduate students, and practicing attorneys for legal and business issues related to sport and entertainment. For those interested in learning more about the program, they can check out the website at: http://law.case.edu/Academics/Academic-Centers/LTA/GLSELA. Cleveland has been a great city to build the Academy, as we have so many great people and organizations in sport and entertainment, and with the exclusive online transition, we now have students joining us from across the US and abroad. At what point should talent (whether they’re actors, writers, etc.) consider hiring an attorney? At the absolute latest, once they’re being asked to sign an agreement, enter a partnership, acquiring rights to original content, or if they just generally feel like they’re out of their depth on something. Often times, people think of lawyers once trouble arises, but a good attorney can avoid the trouble altogether. What has surprised you most in your line of work? The sheer number of people that claim they’re “in the business,” which is unfortunate, because it leads to people wasting precious time or worse yet being taken advantage of. But again, a good manager and/or lawyer can help avoid some of those pitfalls – as can great organizations like the GCFC. What’s next for you, any upcoming projects? Well, I am currently in the fundraising and talent acquisition stage for a documentary series that I’ve been working on for the past year or so, which will bring my worlds of sport and entertainment crashing together with an international flavor. I’m also working on the Historical Basketball League, a professionalized, collegiate basketball league that would compete with the NCAA. It’s been a lot of fun, and again is a great intersection of sport and entertainment, which is where I like to find myself. Media production will end up playing a massive role for the branding of this new league, and we are looking to be exclusively aired in an OTT or online format, so it’s an exciting time in what could be a massively disruptive venture in college sports. If you have questions, or would like to know more about Ricky’s work, he is available at 216-685-4745 or [email protected]. GCFC FAQ: How does the tax incentive work? In 2009, GCFC President Ivan Schwarz wrote and worked to pass the Ohio Motion Picture Tax Incentive, which has been the driver of much of our success in building Northeast Ohio’s media production industry. 35 states, including Ohio, have enacted a film tax incentive in some form over the last 20 years. It has become the business standard in the film and television industry that a project will not shoot in a state without an incentive, with very few exceptions. State incentives have become an important way to not only guard the bottom line for film studios, but also build a new industry and bring production jobs and new businesses to areas where they haven’t existed before. When a production wishes to shoot in Ohio, they submit an application and a budget to the state film office. The incentive is first come, first served so if there is money left when it is the production’s turn in line, and everything with their application checks out, then they will be awarded a letter from the state guaranteeing their tax credit. Our tax incentive grants productions a 30% refundable credit on all money spent in Ohio, above and below the line. This means that when the production is over, they will have a CPA audit their budget against the one they submitted with their application. If everything checks out, the state sends them a check for the amount guaranteed in the letter (or less if they came in under budget). Our incentive renews annually on July 1st, and is currently capped at $40 million a year. There is no per project cap, and a production must spend at least $300,000 in Ohio to qualify. According to the most recent economic impact study by Cleveland State University in 2015, the incentive is responsible for over $400 million in economic impact and has created the equivalent of 1,700 full-time jobs. Also, for every dollar that the state spends on the credit, Ohio’s economy sees a return of $2.01. This is great, but we know we can do better. We want to raise the incentive to at least $80 million annually, which will bring more productions, more businesses and more jobs to Northeast Ohio. It will create greater need for support services like equipment rental houses and payroll companies, not to mention all the other local businesses like lumber yards, dry cleaners, hotels, caterers and more. Most importantly, an increase in the incentive will mean more permanent industry infrastructure like soundstages, production offices, and post-production houses so that we can truly have a year-round industry and cater to the needs of any production imaginable. We’re working hard every day to improve our incentive and keep growing this industry into what we know it can be. At the end of the day, it’s all about bringing jobs and people to Cleveland. Three decades later, what stands out most about the film isn’t how equally funny and poignant it is. It isn’t the amazing characters like Inigo Montoya, Fezzik or Princess Buttercup and the amazing performers that brought them to life (Mandy Patinkin, Andre the Giant and Robin Wright, respectively). Nor is it the fact that it’s still one of the most watchable movies out there. Just think about the era that it comes from. When we think back to pop culture from the 80s, the big hits always came in threes: “Star Wars” (the holy trilogy), Indiana Jones films, and even “Back to the Future” are cultural touchstones with multiple films and entry points that make up its lore and contribute to its lasting appeal. “The Princess Bride” and its legacy have lasted this long on the strength of one very well-made film, and one well told story. Today, a genre movie doesn’t get made unless it’s 1) really cheap to produce, 2) licensed from an existing IP or 3) it sets up a universe of films that will earn a studio money for summers to come. To be clear, I have no problem with these movies. Give me Superheroes and Star Wars and Harry Potter for days, but not to the point where we miss out on the other good stuff that’s out there. “The Princess Bride” wraps an entire trilogy’s worth of beats into one charming, thrilling and hilarious film. It’s a beautiful story about the power of love, whether it’s between a man and a woman or a son and his father (who he lost too soon), and the lengths we will go to for that love. Thankfully, it remains a shining beacon of something we see too rarely in films these days: a great story, told as simply as a grandfather comforting his sick grandson. Its success by today’s standards seems, in a word, inconceivable.